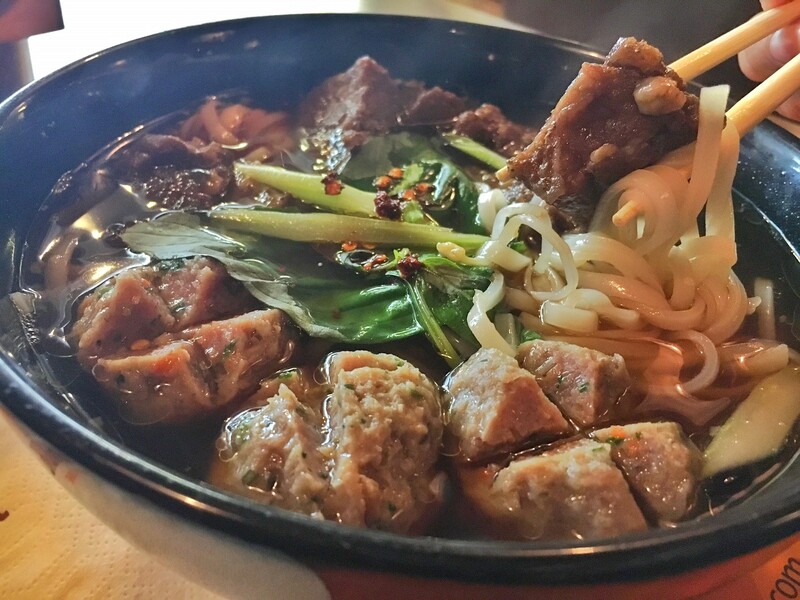 I was craving for noodle soup yesterday and thought why not try some Thai noodle soup. So I went to Little Bangkok, took a quiet nice table, the sweet lady gave me the menu and after a few minutes I showed her what I want. I didn’t dare say the name of the dish as it’s as complicated as Brangelina’s divorce. It’s my first time to try this dish and I have no idea how it tastes. And now I know – I won’t order it again. That’s a big deal for me considering I love soup. Ask everyone dear to me and they can attest that as long as it’s liquid, edible and warm then I can have a casserole of them (I have to insert the word edible because the liquid and warm description might be mistaken for something else, you dirty mind! Or is it me who is malicious?). 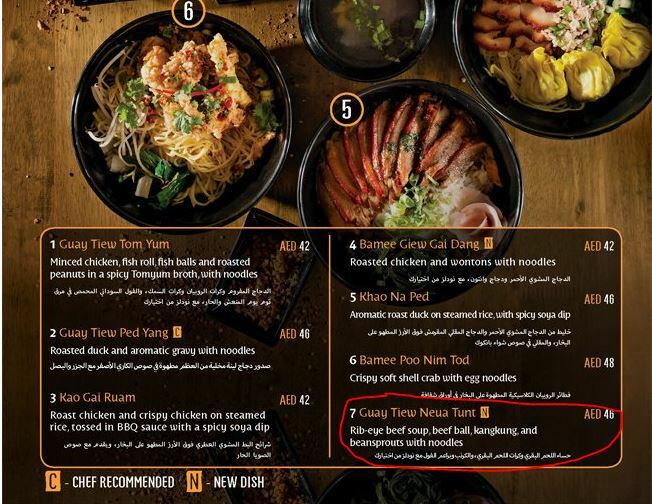 Don’t get me wrong, the toppings are all very good – the beef is oh-so-tender, the kangkong and beansprouts are crispy, the beef balls taste good but the soup base, arrgh! The chicken soup based might be a better choice. Anyways, that was yesterday. Today, my tummy wants carbs again and although I want to resist, my fat devil inside me won. I went to Miyabi, Sushi and Bento and this time I want some stir-fry noodles. 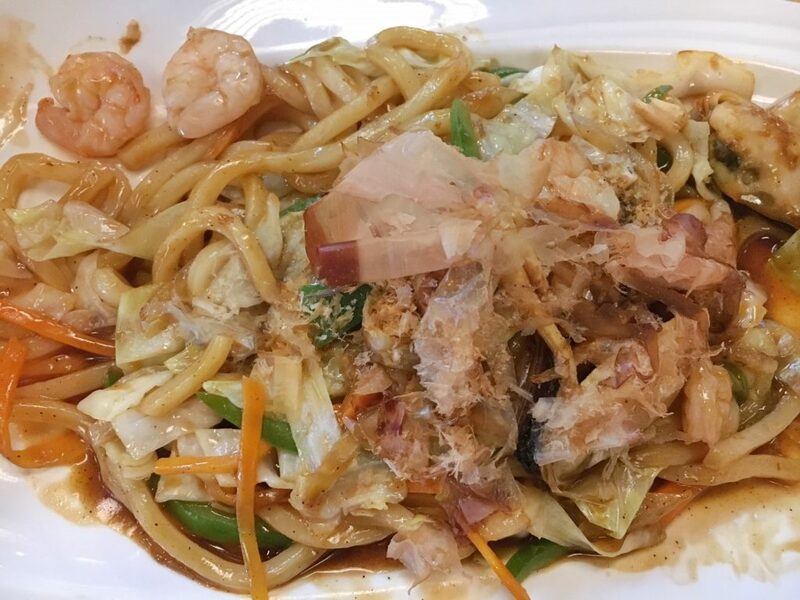 You can’t get wrong with Seafood Yaki Udon, right? It’s almost 2:30 in the afternoon and I am so hungry. Food arrived after almost 20 minutes which is fine. My initial thought after my first bite? It’s salty. But it’s ok, I would rather have salty food than sweet or bland. It’s still ok, I’m so hungry. But after the 4th bite, I know I don’t like it. I’m not the type who complains in the restaurant. I won’t call a manager if there’s a hair or small plastic in my food. Sure I will lose my appetite but I won’t call the Dubai Municipality and insist that the restaurant be closed (believe me, some customers threaten to do that). Having family and friends working in food service industry, I have seen how difficult there job is and I won’t make a big drama of something unless maybe I get hospitalized because of food poisoning. Ok, going back to my udon, I ended up just eating the seafood and vegetables and left the noodles on my plate. I can have the food replaced but that would take again some time and I only have 1 hour lunch break. Hay! Maybe the food good is not in my favor this week. Gibson will go on some kind of minor knee operation this weekend which will keep him home-bound for at least 2 weeks and that means no eating-out for us. It’s a sign that I should use my cooking skills to test. Do you usually complain if you don’t like your food? 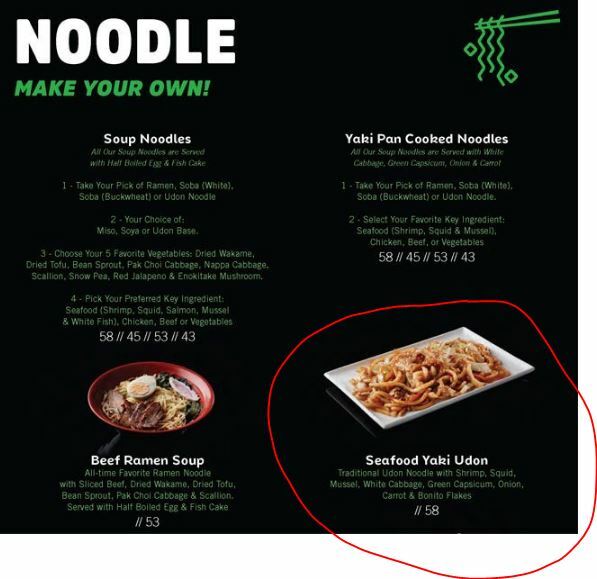 This entry was posted in Food & Dining.